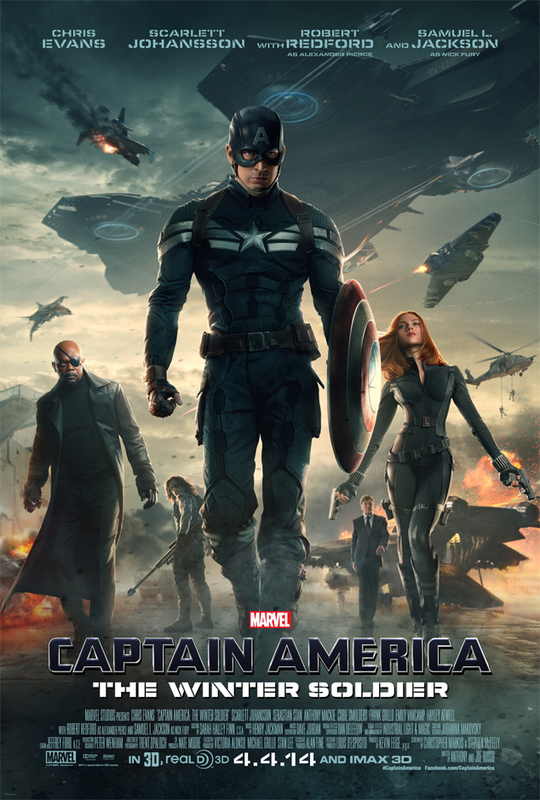 OKLAHOMA CITY – If you like Marvel movies, 2014 is a great year to be you. With five films dropping, including two featuring entirely fresh heroes, fans of the comic book company’s pictures will have something to look forward to all year long. In preparation, I decided to give a quick rundown/preview of each flick. Enjoy! Sweet! Sky-diving off a flying aircraft carrier! So Chris Evans is retiring from acting? At least he’ll be Captain America a few more times before he goes. In this, his second stand-alone feature, Captain America is trying to put his life together after being frozen in ice and then waking up and fighting off aliens in New York City. One would think that, in light of the fact that a super team of superheroes exists that is capable of defeating aliens from another galaxy, bad guys would probably lay low for a little bit. But apparently there are some dummies who think they can pull a fast one on Captain Steve. Idiots. 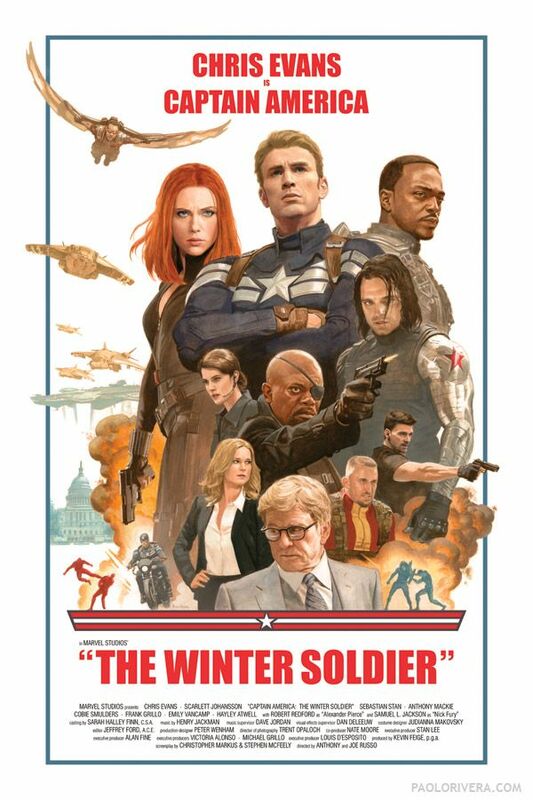 In Captain America: The Winter Soldier, we’ll witness the Cap team up with Black Widow/Agent Romanov and The Falcon, but what will they do when they have to face…The Winter Soldier?????? I guess we’ll have to watch and see. Is the suspense killing you? Let’s be serious – we all know Cap’s surviving since he signed a six-movie contract with Marvel, this being his third. But still – the Winter Soldier!!! I can’t wait to watch this compilation of computer graphics. By the way, there are several really cool poster variants. These are a couple of my favs. Awesome. Love that old-school feel. I’m actually getting more excited for Capt. America 2 just from looking at these posters! How can they know THIS is his greatest battle? 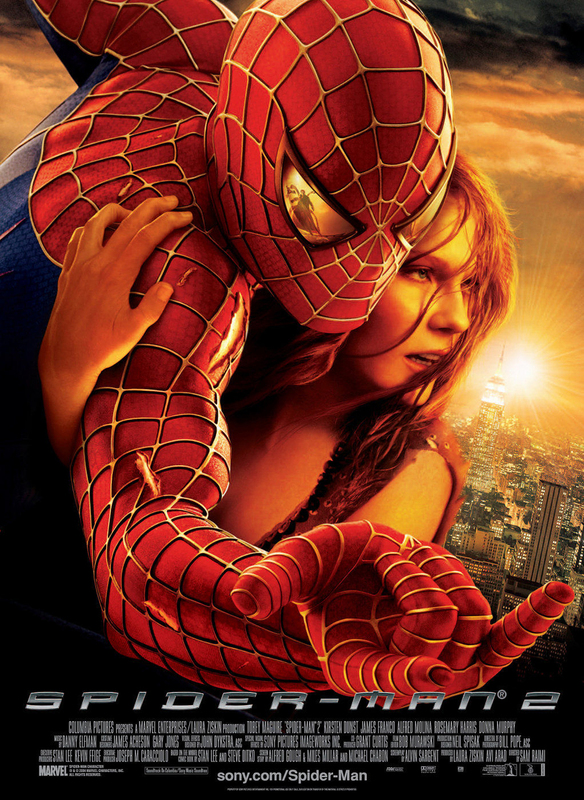 Remember how the early 2000s saw the release of two really great Spiderman movies? And remember how Marvel then decided to reboot the franchise with the extremely-less-than-amazing The Amazing Spiderman? Turns out, audiences really go for gonzo comic book movies no matter how bad they are, so Marvel felt more than justified in saddling us with a sequel to that universally-underwhelming waste of digital space. Can someone please remind me why the world needs a worse version of this film?? 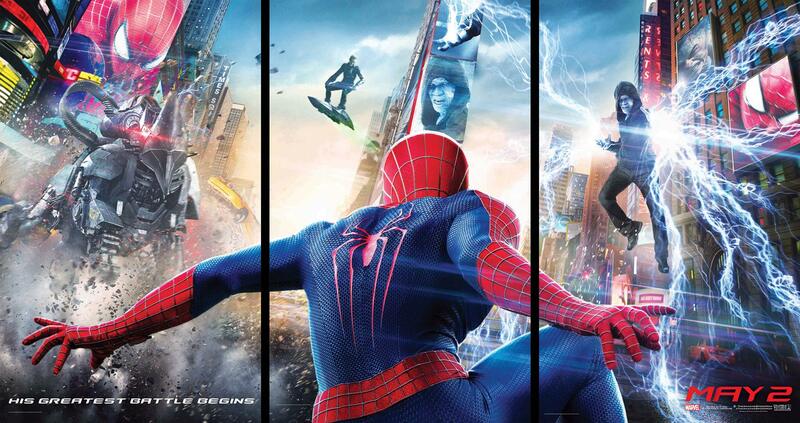 The Amazing Spider-Man 2 sounds like it’s going to be a really bad rehashing of material we saw in Spiderman 2. Look for Spiderman to struggle with his identity and Harry Osborne all while trying to overcome his latest nemesis – ELECTRO!! If you aren’t excited for this borefest exceptional-sounding movie, you have no heart. Of course, like Chris Evans, Andrew Garfield is signed on for at least a couple more movies, so we know that, no matter how grim things seem, ole Spidey will pull through in the end. Ugh, here’s the real poster. One more thing – apparently this movie will serve as a setup for Sinister Six, which is some other Marvel property based on Spider-Man’s enemies. Better get your popcorn ready!! Jennifer Lawrence is ubiquitous, and Hugh Jackman is ageless. So, there’s another X-Men movie coming this year. Of the five Marvel movies slated for release, this one might have the most riding on its success. The X-Men franchise has been extremely lackluster of late. After the first two movies were released in 2000 and 2003 (NOTE: Holy moly time flies), the series’ critical ratings and box office performances did virtual nosedives. Things slightly improved with X-Men: First Class (which is largely disappointing imho), and then started downward again with The Wolverine. So, is this the year the X-Men win us back? 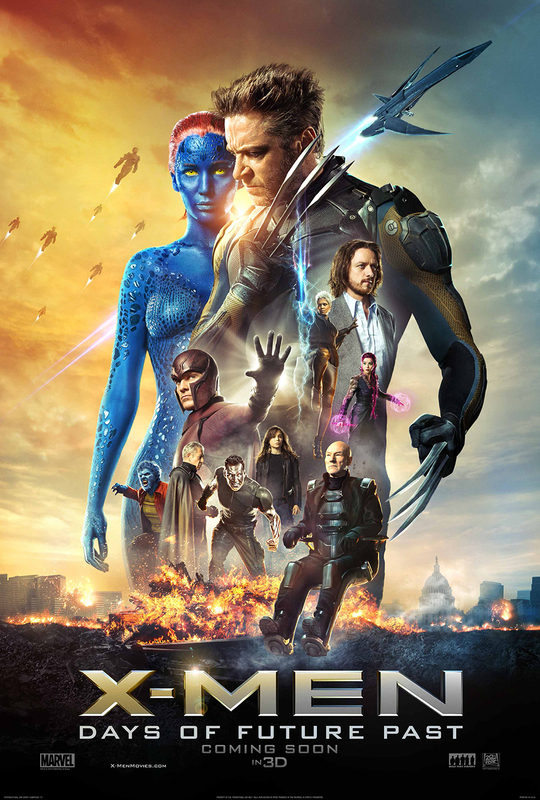 Will Days of Future Past be the catalyst for a massive X-Men renaissance??!! Maybe. 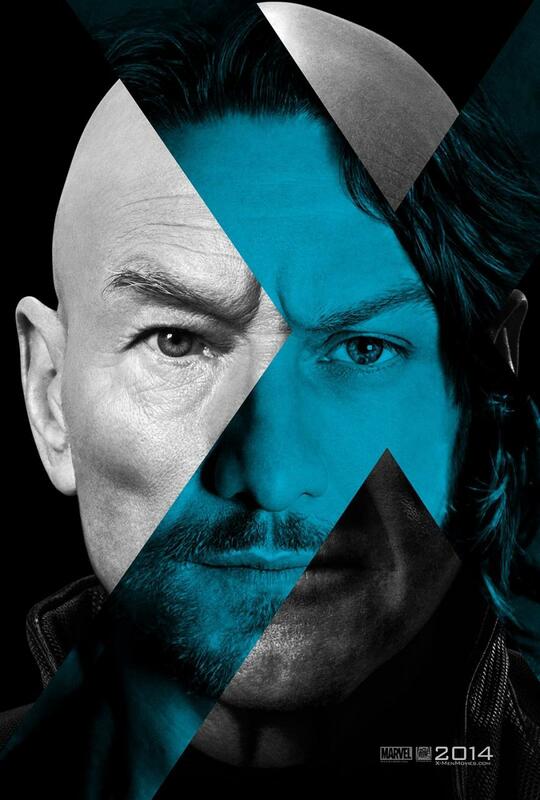 Here’s a poster of Professor X’s face mixed with some other guy’s face! According to the plot summary on imdb, it seems that, once again, the world is a catastrophe. Obviously, this means the X-Men have to dust off the time machine and send Wolverine back so he can stop an event that will spell the doom of everything. I’m guessing he’s going to prevent the thermodynamic heat death of the universe!!! But seriously, I’m not holding my breathe for this one. Yeah, it’s directed by Brian Singer, the guy who made the first two films in the franchise. But he’s also the guy who gave us Superman Returns, which, by the way, is the movie equivalent of smelly flatulence. So the jury’s out. I’m sure we’ll all have a better perspective on the film in days of future past. This poster says it all. Guardians of the Galaxy is a new franchise, and the August release date doesn’t bode well. Usually, the best movies debut May-July while crummy movies drop in February and August-September. While there are some exceptions to this rule, it seems that having an August release is like having the Grim Reaper stand over your movie’s box office hopes. Still and all, at least Guardians of the Galaxy isn’t a sequel, reboot, or sequel of a reboot. And for that reason, I’m looking forward to it. Forget that August release – I’m fired up for something new!! Doesn’t Chris Pratt look like James Franco? 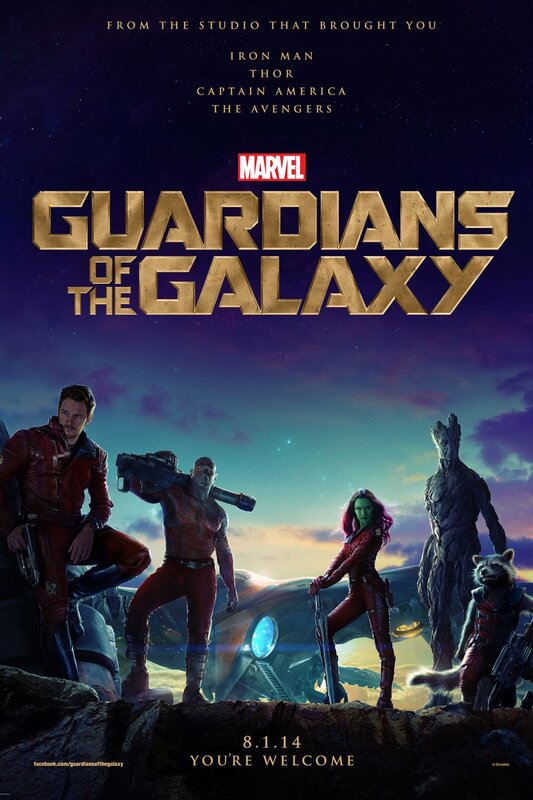 The Guardians are a group of ragtag superheroes led by Star-Lord, Peter Quill. When Star-Lord steals an orb from a bad guy named Ronan, the ragtag heroes have to join forces to stop evil from winning and destroying everything good. If that doesn’t sound like an original premise, then wait to hear this twist: Peter Quill is a jerk who, through the course of the movie, learns to not be a jerk!! That, ladies and gentlemen, is the height of uniqueness. In all seriousness, this sounds like X-Men crossed with Green Lantern. Whatever. At least it’s something new. Disney instead of Marvel is producing it. When, in 2009, Disney acquired Marvel Entertainment and the rights to make films based on Marvel properties, BH6 director Don Hall was in the throes of making traditionally animated Winnie-the-Pooh. He decided that after Pooh the next logical project was a 3-d animated superhero movie. Which reminds me…. Big Hero 6 is animated. Anyway, as I was saying, Don Hall decided that Winnie-the-Pooh was the perfect trial run for making a 3-d animated superhero film. So, he gaslighted pitched the concept to John Lasseter, and the rest, as they say, is history. Wouldn’t it be great if Eyore were in this thing for no reason whatsoever? Am I the only one that thinks that? He could be Eyore-san and he could do a donkey kick as his special move! Okay let’s move on. It has characters named after Asian food. 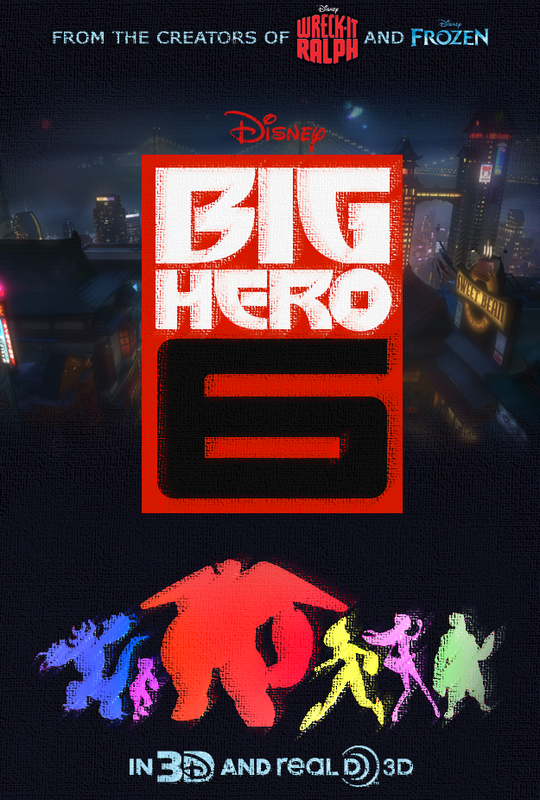 You won’t believe this, but Big Hero 6 features a hero teaming up with other heroes to fight crime. 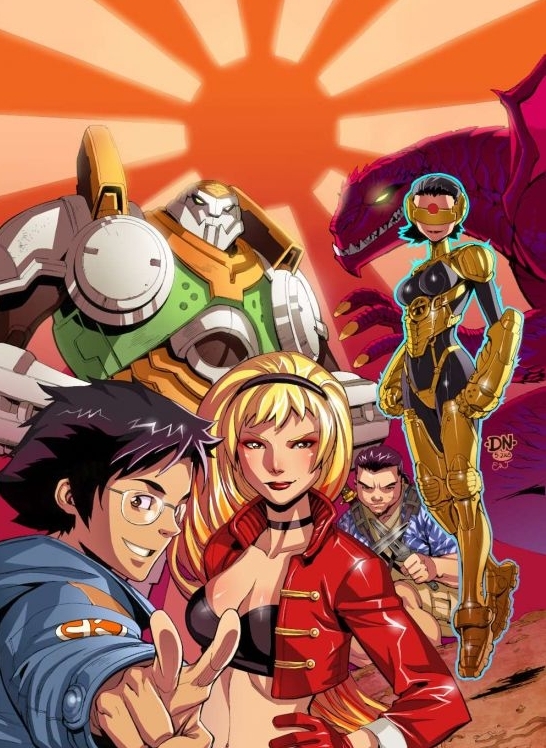 I don’t know anything about the characters whatsoever, but that’s not stopping me from getting outrageously excited to see Hiro Hamada and his robot Baymax ally themselves with Wasabi-No-Ginger, Honey Lemon, GoGo Tomago and the rest of the gang against nefarious plotters. Big Hero 6 – the gang’s all here. That’s is for Big Hero 6. I’m looking forward to it. Grant Stevens is a guy who watches movies and writes articles. He also reads. His current book project, Gulliver’s Travels, is taking forever and a day, but perhaps someday he will get through it and release an ultra-mundane review, philosophically speaking. Grant is also the President of the Use Ironic Correctly Society, and he does music stuff. And he enjoys apologetics. 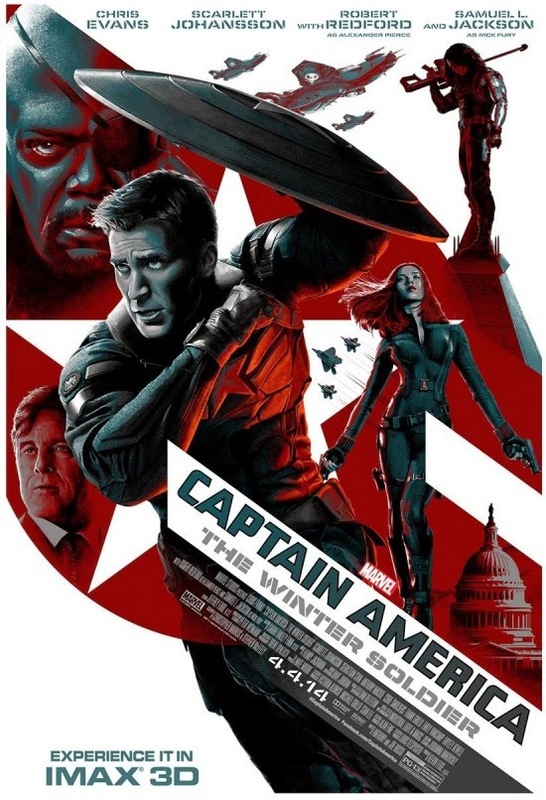 Oh man, in that Cap poster #2, he’s deflecting planes into the Winter Soldier!!!!! Is that shield made of pure unobtainium? It looks like some fighter jets are going to make it into his pits though. Will Scarlett Johotness be able to jump on Cap’s shield and grab on to one of the flying jets, commandeering it and disabling the rest in time to save Cap’s sweaty pits??? Lol that reminds me of how I like how Cap’s shield is made out of a material that absorbs all vibrations yet it bounces off of enemies and back to Cap like it’s nothing, metaphysically speaking of course!!!! And yes, that is Scarlett’s specialty!!! The edges of the shield are made of flubber. Thanks, Grant for that brief update on what is coming to the movie theatres! Thanks to your review of The Lego Movie, I watched it last week and thoroughly enjoyed it! Don’t know if I would have seen it if you had not recommended it. Looks like we are in for some exciting, “marvel-ous” movies! Did you notice that Robert Redford is in Captain America??? I will definitely be seeing that one! Keep up the great work! I love Rocket Raccoon on Marvel Vs. Capcom 3! I too want to see that movie. 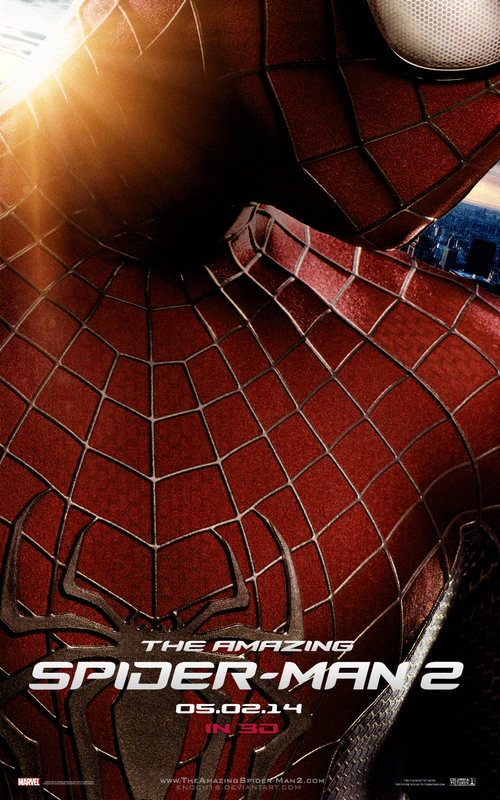 I have not seen the unamazing Spiderman, nor will I be watching its unamazing sequel. Spiderman 2 is still awesome to this day. Big Hero 6 looks pretty fun! I had not heard of this one.